With only two days in Venice, we knew we were cutting it close. Could we really get to know the city in just two days? Could we find the best restaurants? Would we have time to sit back and just enjoy it? Well, if we did it right, the answers to all those questions could be yes. So from the moment we arrived, until the moment we left, we didn’t let one second go to waste. We arrived determined to discover the most authentic Venice we could, in only two days. And that, my friends, is exactly what we achieved. 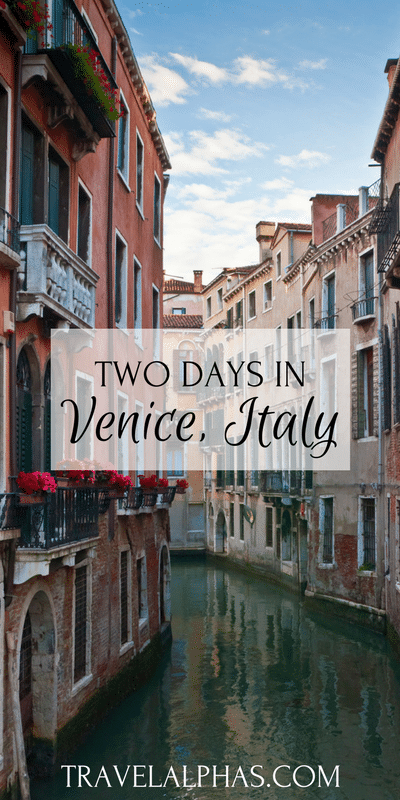 Our time in Venice included wandering the timelessly beautiful canals on foot, and by boat, roaming the city’s quiet alleyways and colorful corners, eating plenty of seafood, finding the best restaurants, drinking at local bars, and more. 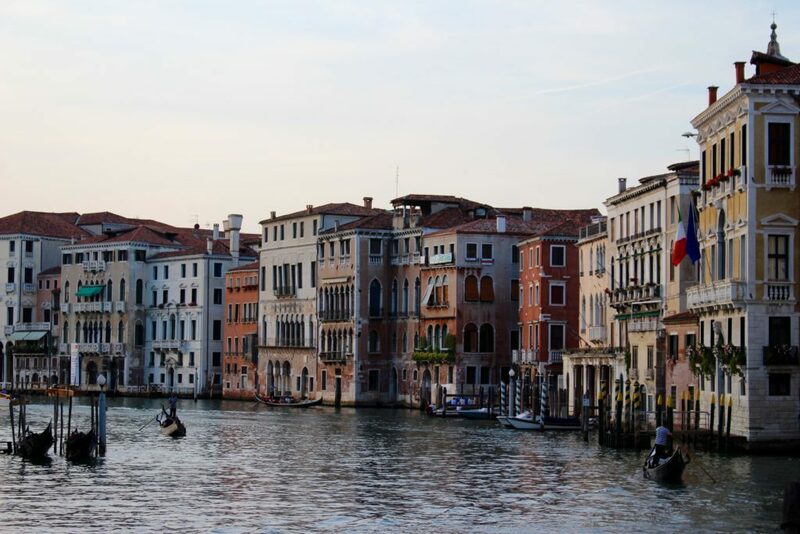 As soon as we hopped off the train at Stazione di Venezia Santa Lucia, we stepped out into the warm Venetian air. And just after, our jaws dropped at the immediate stunning views. 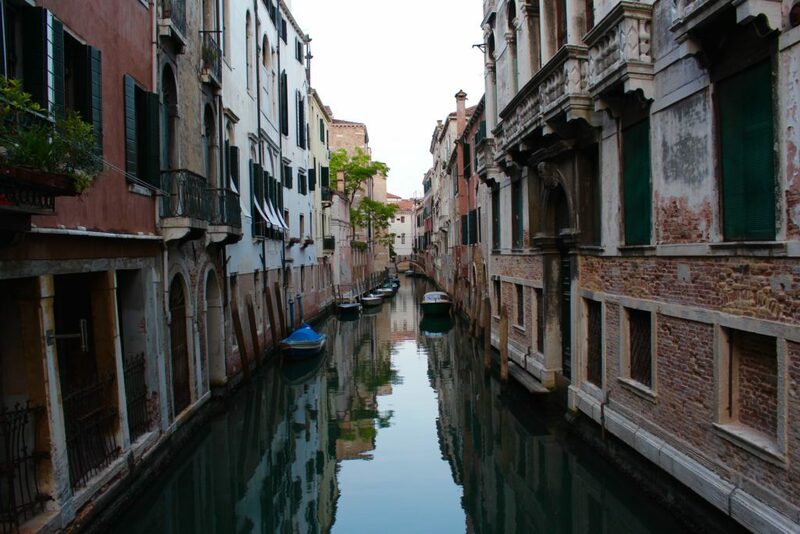 Finally seeing the dream-like canals of Venice for the first time is pure magic. Especially when you’ve been bombarded with romantic movies and Instagram photos of Venice for as long as you can remember. Seeing the real thing is actually something else. Once we snapped back to reality, we purchased tickets for the water bus, and made our way to our hotel to drop off our luggage. 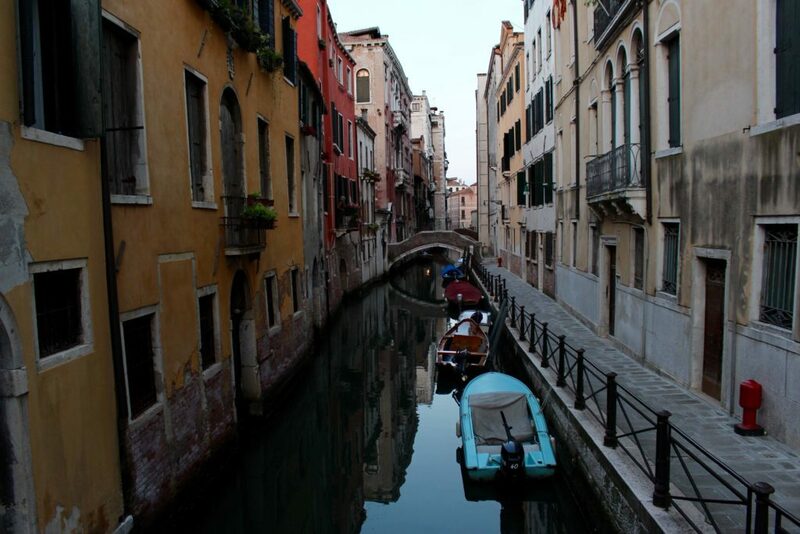 We decided to stay in the San Marco area, for its easily accessible, central location. 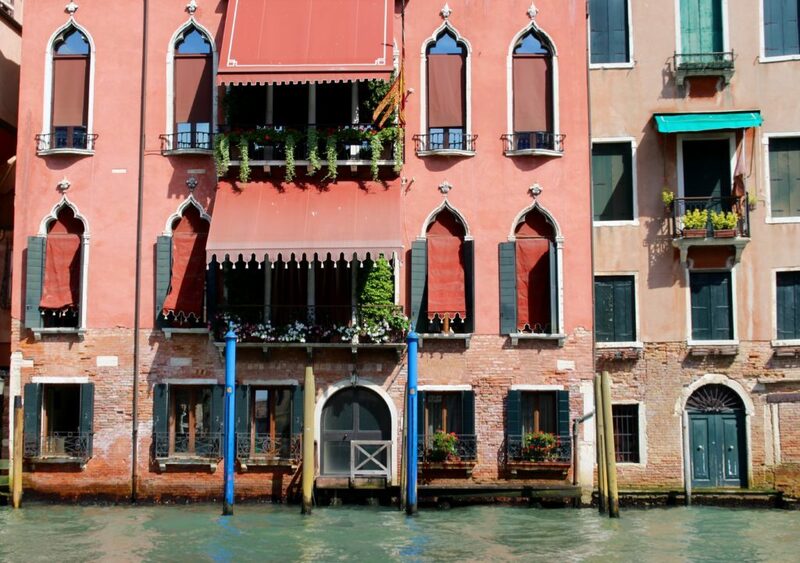 Find a great deal for your Venice accommodation here! Then, we began our search for authentic food. 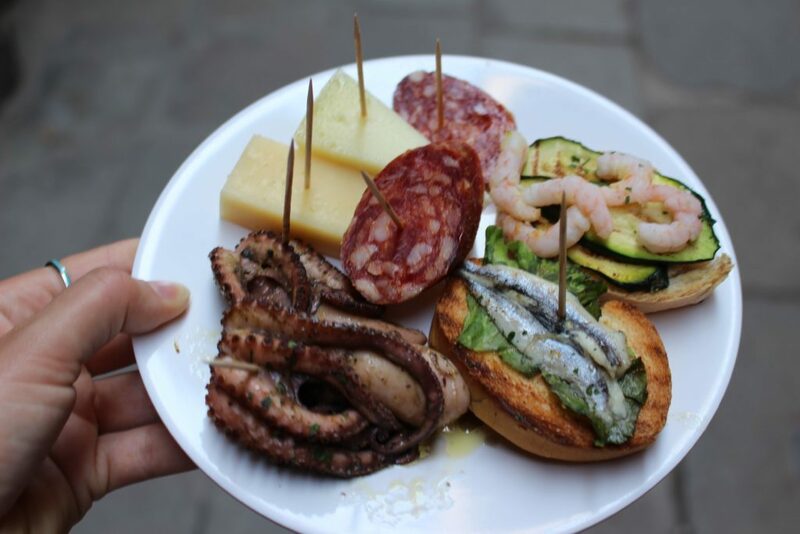 Which of course, had to mean cicchetti, which is similar to Spain’s version of tapas! We went to Cantina Do Mori — one of the oldest, most traditional bars in Venice — and picked out all of the scrumptious little bites our stomachs could handle. Then we stopped for a quick gelato. Because you can’t go a day in Italy without at least one gelato. Or at least I can’t. 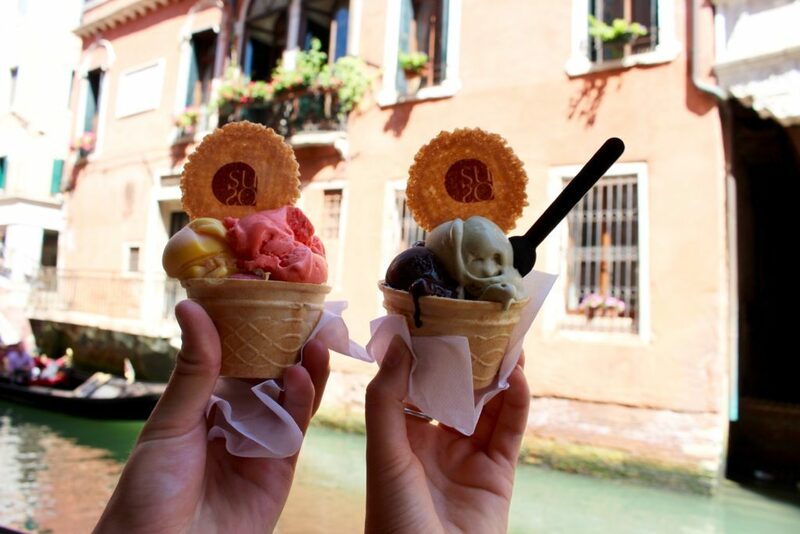 We found a little shop called Suso, and it became our go-to gelateria for the remainder of our time in Venice. Mmm, mmm, mmmm! Then, we rushed over to San Marcos Square to meet our guide, for our two-hour tour of the canals. 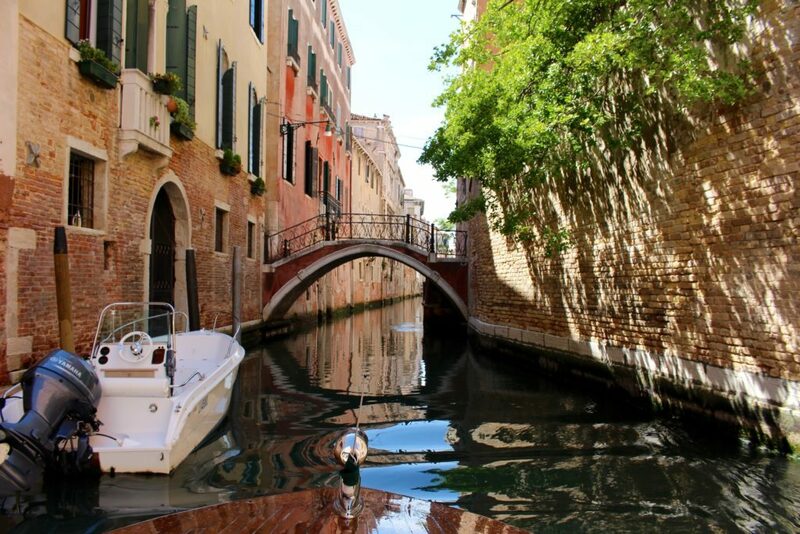 They always say that Venice is best experienced on its canals. And they are not wrong. The thing, though, is that the iconic gondola rides in Venice are out-of-this-world expensive, super short, and incredibly touristy. 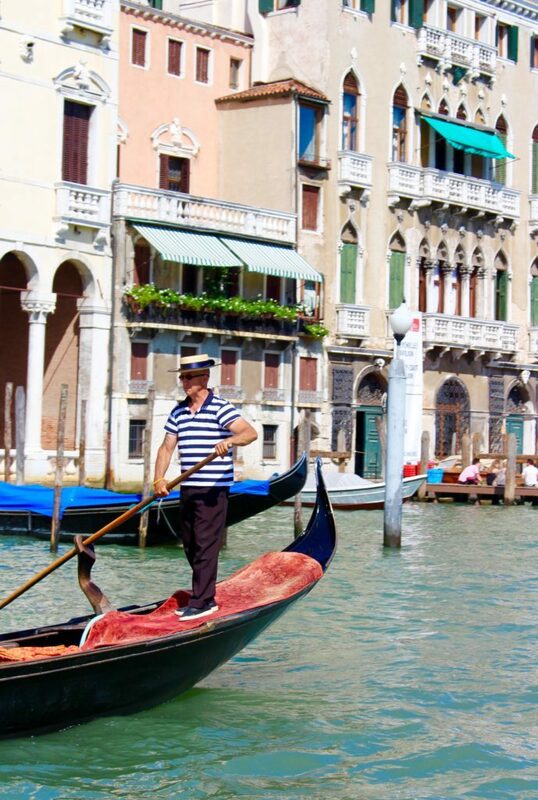 Is a Gondola Ride in Venice Worth it? Riding Vespas through Tuscany: A Must Do! So instead of paying 80 euros for a 40-minute gondola ride, we opted for a boat tour, which included a guide who actually taught us about the history of Venice! It was absolutely perfect, and I can’t recommend it enough. 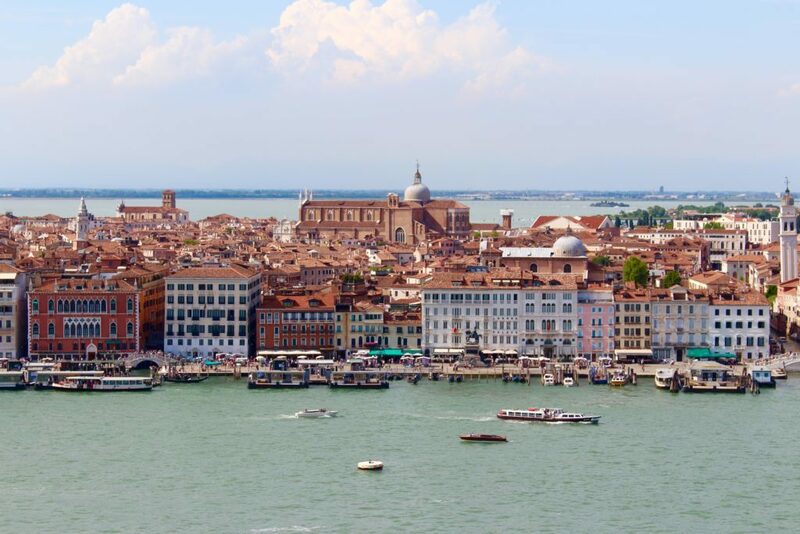 Plus, our tour included a ticket to climb the bell tower of the San Giorgio Maggiore church, for stunning views over Venice’s grand buildings and canals! Read more about our boat tour here. Book your tour here. Well before the sun went down, we left our hotel to wander through the city, slowly making our way to our incredible dinner spot: Osteria alla Staffa. The views along the way left me absolutely speechless, and that’s because I was too busy capturing the precious moments with my trusty Canon. Venice itself is gorgeous, like no other place on the planet; yet, when you experience Venice when the sun’s going down, and shortly thereafter during blue hour, it becomes even more magical. Needless to say, we took our sweet time wandering the canals semi-aimlessly on the way to dinner. At Osteria alla Staffa, our minds were blown by how great Venice could be, if you stray off the beaten path and seek out authentic places. We savored three courses, along with a bottle of wine. For our appetizer, we shared a seafood dish of delicate fried fish croquettes. For his main, my brother ordered a succulent dish of lamb and vegetables. My main course was the real stunner, though. 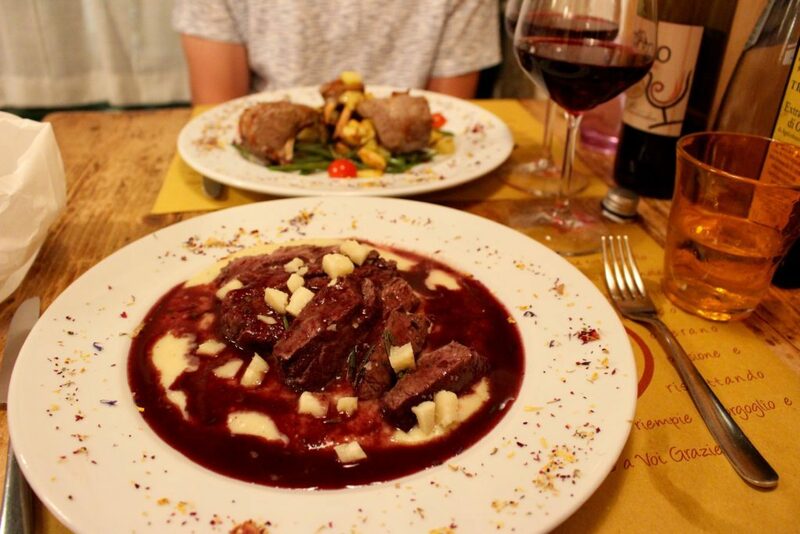 Just imagine perfectly cooked steak, swimming in a rich red wine sauce, topped with chunks of local, organic cheese. I had never tasted anything like it, and unfortunately, I haven’t since. So. So. Delicious. For dessert, we split something chocolaty and also a tiramisu! Then, it was off to bed, because we had an early morning ahead. Lucky for our wallets, our hotel included a nice breakfast buffet. After we scarfed down our eggs and croissants, we were off to explore. We decided that roaming Venice without a map, and getting lost along its picturesque canals and quiet backstreets, sounded like the perfect way to spend our day. We walked for a few miles, taking lots of photos and stopping into stores, until our feet couldn’t take it anymore. That’s when we knew it was lunchtime. For lunch, we opted for an ultra-budget-friendly place that’s delicious and convenient. What does that mean? Well, there’s a tiny place called Dal Moro’s, which serves fresh, handmade pasta to order, in a to-go box. 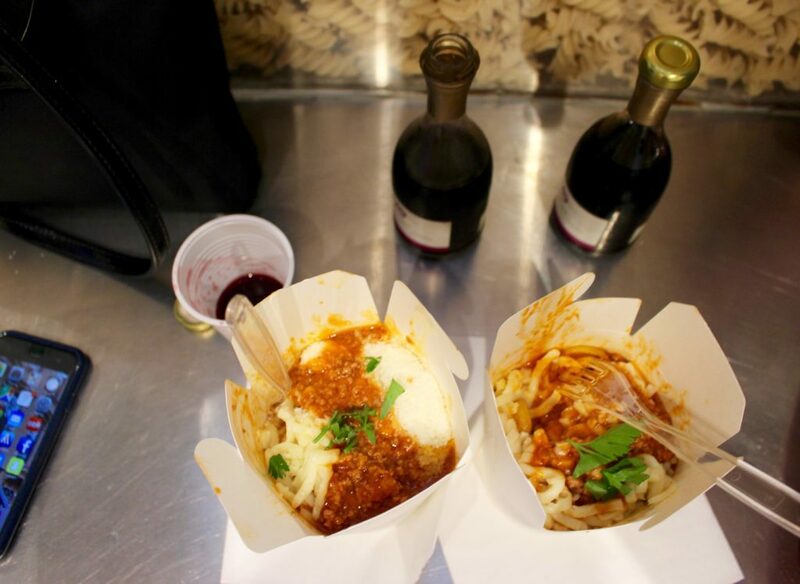 We popped into the tiny pasta shop, chose our favorite pasta type, sauce, and extra toppings, waited roughly five minutes, and were both handed beautiful parcels of pasta, perfect to take away and enjoy. Before we left, we threw two mini bottles of wine onto our tab and paid. Then we took our pasta and wine to a nearby bridge, where we sat on the steps, and ate every last morsel. And the best part? This meal came to a grand total of 13 euros. Pretty fantastic, am I right? After lunch, can you guess what we did next? And we probably got some gelato shortly thereafter. We made it to the Cannaregio district of Venice and we sat down for a while. We stuck our feet in the water and enjoyed the views. Eventually, we got up again. We sat out in the street, in the sunshine, and enjoyed a few ice-cold beers and glasses of white wine. Then, we meandered slowly back to our hotel, to rest for a bit, and get ready for dinner. For dinner, we settled on a lively and homey trattoria, which serves lots of traditional dishes from the Veneto region of Italy. So in other words, this place served a lot of seafood! 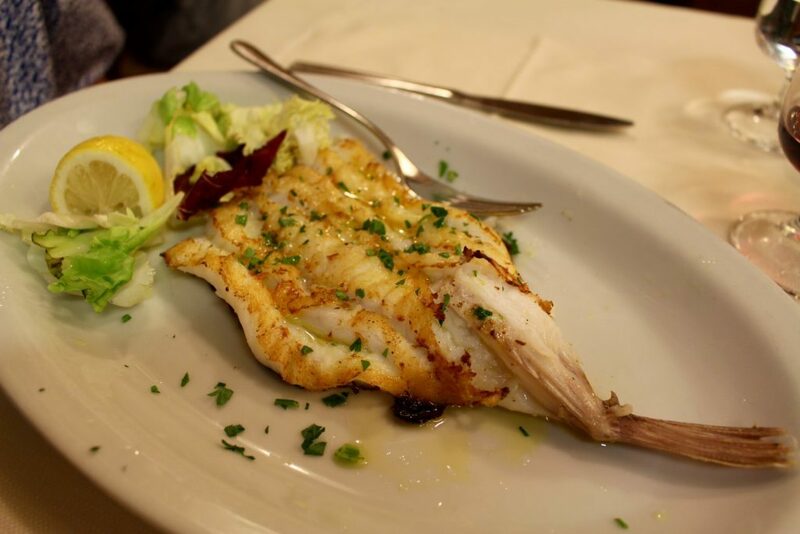 At Alla Rivetta, we ate lots and lots of seafood, from calamari fritti to scampi all griglia. And some pasta, for good measure. Obviously. After dinner, we weren’t ready to wrap up our two days in Venice… But we had to. We were off on an early train to Milan the next morning. I’m not sure it’s even necessary to point this out. But by the end of our stay, we’d fallen absolutely and irrevocably in love with this great, historic city. How could we not? With those insanely beautiful canals, warm locals, and incredible restaurants, Venice was a dream. Two days in Venice was short, but it was just enough. 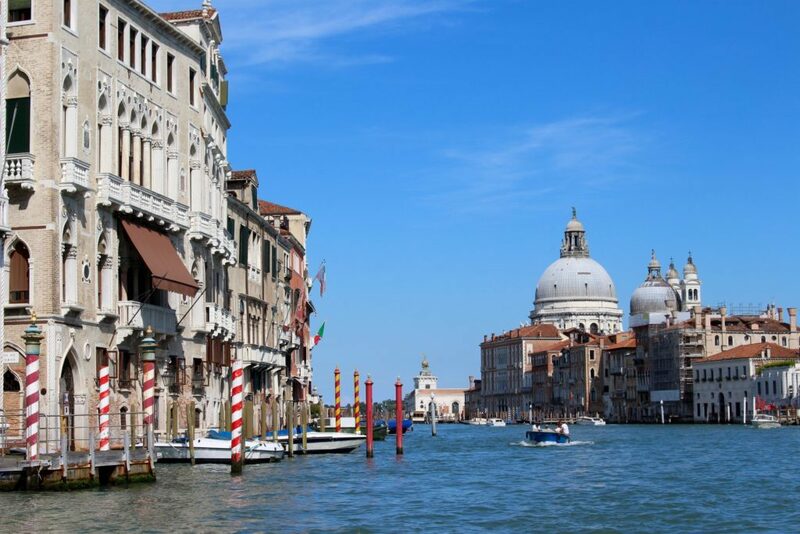 Oh… and before you go, find a great deal on Venice accommodation here! 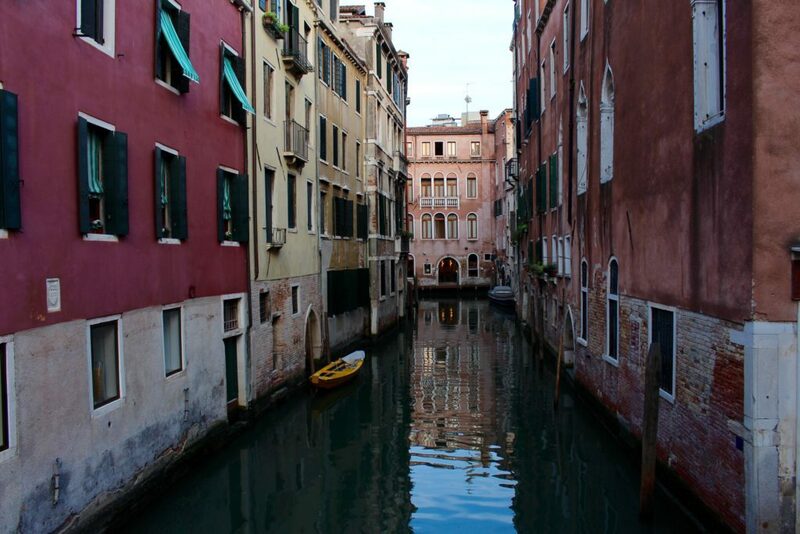 Have you been to Venice, Italy before? What are your favorite things to do there? Where are your favorite places to eat? *This post contains affiliate links, which means when you make a purchase through a link on this website, we will receive a commission at no extra cost to you. These commissions help keep Travel Alphas up and running, and we thank you for your support! That’s because there isn’t! It’s so stunning, everywhere you look! YES! Daily gelato is a must. Although….some days I may have gotten 3+ haha. Lemon gelato is just SO GOOD! 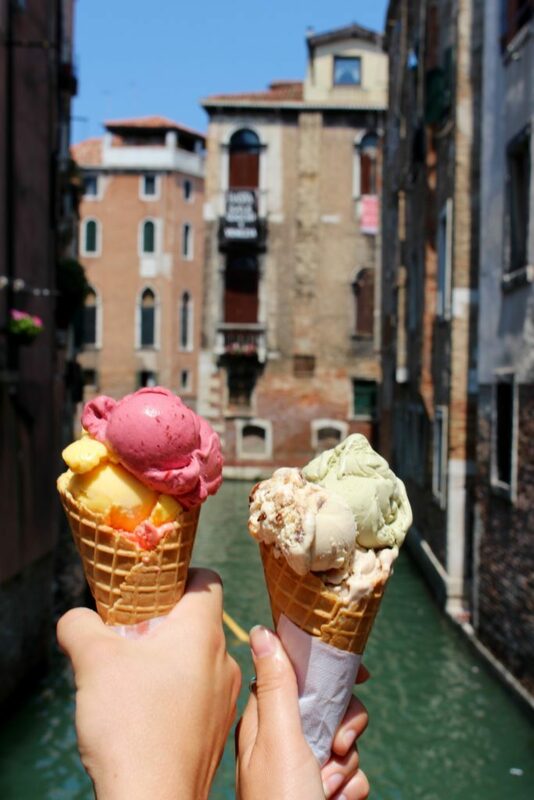 In love with pistachio gelato right now… But the fruity flavors are always so refreshing in the crazy Italian heat! Glad you had fun! I absolutely adore Venice for the food and architecture. Still dream about fish I had four years ago ? The seafood there is SO GOOOOOOD. I don’t blame ya! Venice is one of my favourite cities in Europe! I just love it! Gorgeous photos! It looks like you two had the best time! Your photos are beautiful as always. venice enchanted me nearly three years ago and you have me itching to go back. Ahhh, we did! Thank you so much! Seriously, would do just about anything to go back to Italy right now. It looks like you both had an amazing trip!! We are headed there this summer. I was curious though…do you speak Italian?? Is it easy to get around not knowing the language? We have a pretty good knowledge of different Italian words — especially food words — but we by no means speak Italian. However, since we do speak Spanish, we can read a lot of Italian because the languages are very similar. That definitely helps. However, it’s totally not necessary! Either way, it’s very easy to get around and you have nothing to worry about; you will find that most people throughout western Europe speak English. Plus, pretty much everyone in Italy is very friendly and willing to help you out if you are lost, etc. Enjoy your trip! My daughter and I will be there in a short 2 months! I can hardly wait. Thank you for the great information. I’d love to know about what shoes you wore for all the walking and what kind of bag you carried (daybag) for shopping, carrying your camera (I have a Canon EOS Rebel T6). That is great; we hope you two enjoy your trip! Absolutely! I was carrying my favorite Kate Spade crossbody bag, which is similar to this bag here. These bags are the best because they’re stylish and can fit all the essentials: your camera (we have a Canon Rebel as well), wallet, sunglasses, small cosmetics, and even a water bottle. You honestly will probably have that camera out of the bag and around your neck the entire time you’re walking around though, because you’ll want to take pictures of EVERYTHING! Also I switched off between my favorite sandals that I wear everywhere when I travel and these tennis shoes, which are on sale right now, by the way. I find both to be comfy enough when walking around a city for miles on end, and cute too! If you have more questions, we’re happy to help! Hi! This has helped me so much in planning our few days in Venice. I have a question! 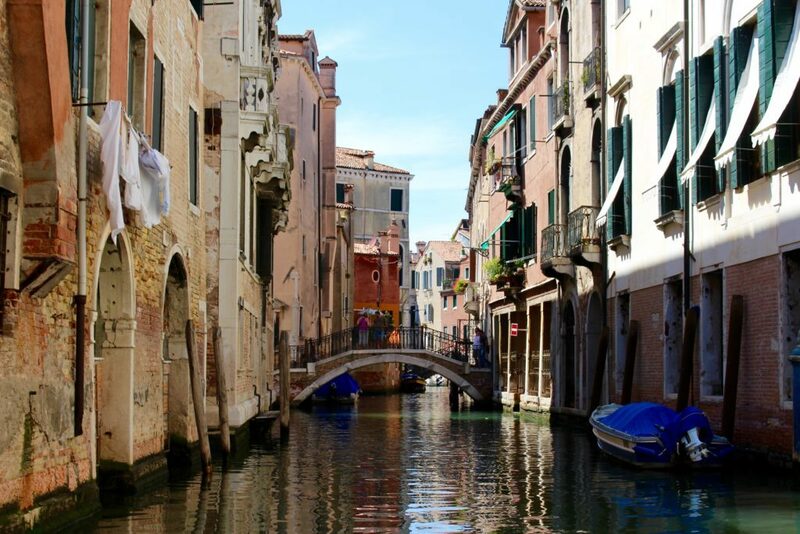 What city were at before you went to Venice that you got on the train? and where was the train station in Venice? Awesome! We’re glad our post helped you plan your trip! We were coming from Rome. The train station we arrived at was Stazione di Venezia Santa Lucia, which takes you directly to Venice. From there, you can just hop on the water bus to take you to the area where your hotel is. 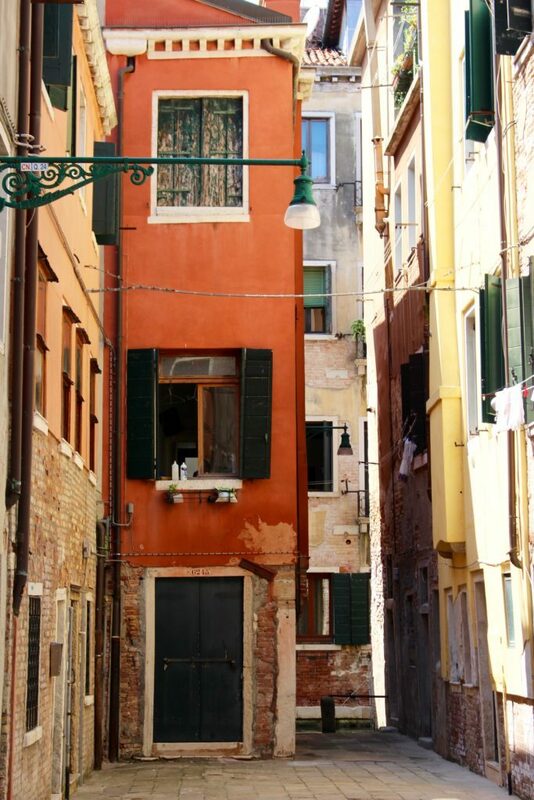 It’s very simple to get in and out of Venice! The trouble is actually locating your hotel, because Venice is like a maze. Make sure you star your hotel on Google maps on your phone before you get there, to help you find it as you’re walking through the city. Let us know if you have any other questions. Enjoy! Thank you for the helpful info. I’m a single senior lady going to Venice alone this November. Can you share with me the tour guide you used for the canal tour? Anything you think I need to look out for or any extra inf. would be helpful. 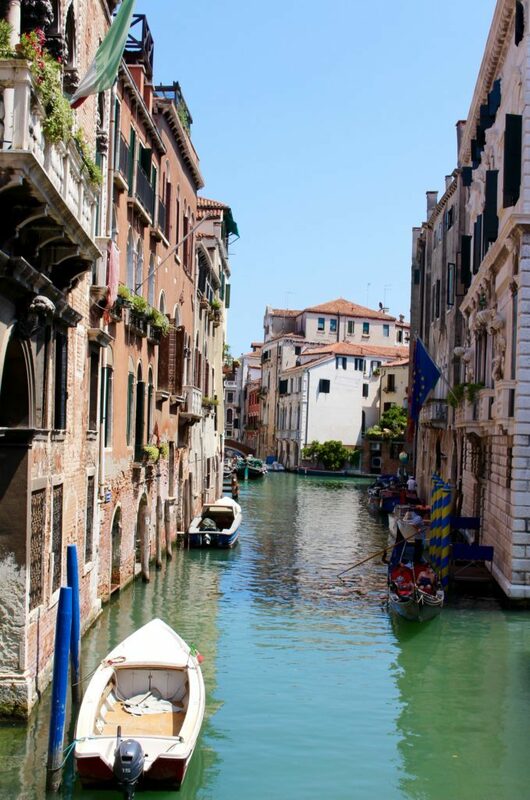 Venice looks like a dream to visit and wander though! We live in Belgium at the moment and have Bruges, the “Venice of the North” but it’s a little different haha! Was it very touristy and crowded in Venice or did you find that tourists were spread out? 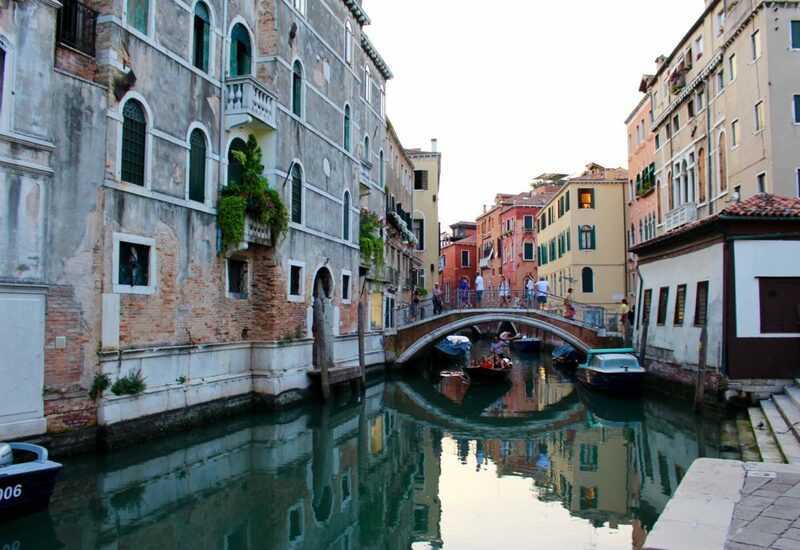 How many days would you have ideally liked to have spent in Venice or was two days sufficient? Have a great day! 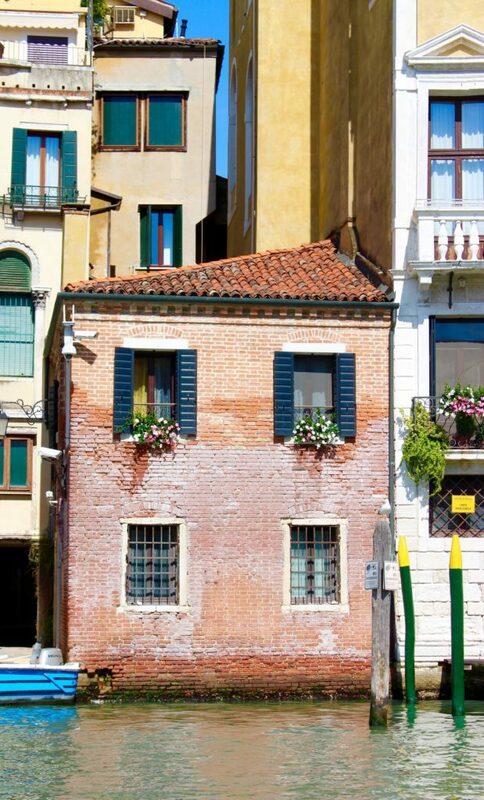 Yes, Venice is very touristy — some areas more than others. Once you start moving away from the center (such as where Piazza San Marco is), you will see less and less of them, though. Also, two days is just the right amount of time! Can you please tell me what camera you used for these pics? I am looking for a new one for my own trip and I love how beautiful yours are! Very well done blog! Chuck full of good information with beautiful pictures. A perfect primer for our future trip to Venice! Thank you very much!